One of the really nice things about Fender® instruments is that you can change the look of your instrument with relative ease. 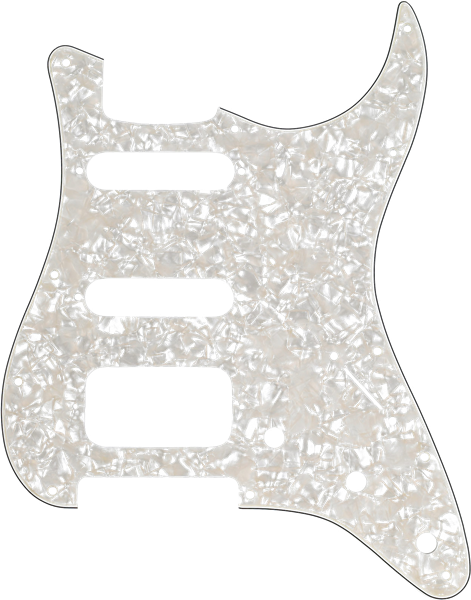 One of the easiest ways to accomplish this is to replace the pickguard. Fender offers a variety of pickguards in different colours and materials to help you add a personal touch to your favourite Fender instrument. 11-Hole mount pickguards with H/S/S pickup configuration. Designed to fit most American, American Standard, Hot Rod and American Deluxe Series Models (USA) and Standard, Deluxe and '70s Classic Series Models (Mexico) manufactured from '86-Present.